Things that have happened since I lasted posted a blog: I became an aunt-he’s cute and chunky and I love him. I started the final semester of my bachelors program in Nursing (woo hoo). I participated in a walk honoring pregnancy and infant loss. I started fertility treatments again. I wasn’t going to start fertility treatments until next year, but I started feeling a little less depressed and anxious, and my blood pressure became reasonable again, and so I did. My first go around of the Letrozole/IUI didn’t work. I just completed the second IUI today. Fingers crossed in two weeks I’ll have some good news. The walk was difficult. On one hand I enjoyed honoring Oliver with something. 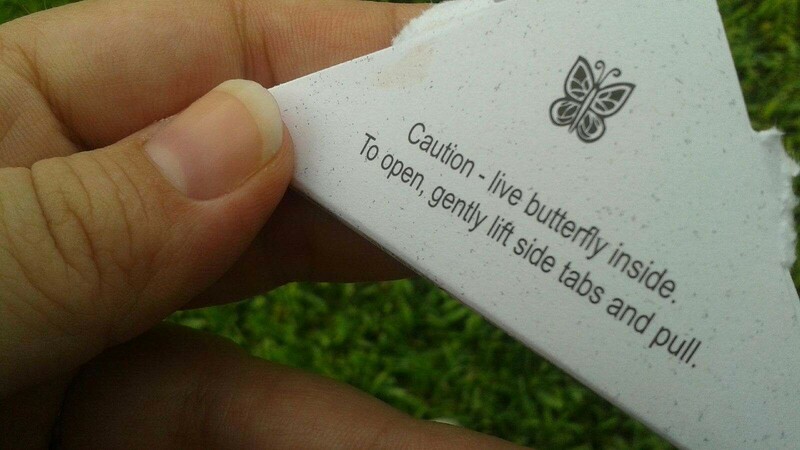 It was put on by a local hospital, very nice and laid back, with a butterfly release at the end. Our butterfly took off- you could tell it wasn’t pleased being in that box and was going to relish its freedom. Maybe there is symbolism there, maybe not. It was a pretty butterfly and hopefully it went on to do wonderful butterfly things. Still, on the other hand, I felt like an interloper on people who lost so much more. There were parents there who lost their children further along in their pregnancy, and some who had children die in the NICU. One woman was carrying a picture of a beautiful baby with Down Syndrome who didn’t make it, and in that moment, I hated myself for grieving so hard for someone I never met. I wanted to say something to her, but couldn’t think of anything sufficient, and so I said nothing. A tiny part of me feels guilty that I’m trying again even though, in some alternate universe, I’d be almost eight months pregnant with Oliver. Sometimes I feel like I’m betraying his memory. It’s convoluted. Sometimes I still randomly cry; usually when I’m washing my hands. I’ll be washing my hands, fine as can be, and then I just start crying. Maybe it’s running water? I don’t know, it’s weird and it’s difficult because I’m a nurse and I was my hands a lot. I had forgotten how awful the Letrozole made me feel. By the fifth day my joints ache so bad I want to cry. Bone pain is a side effect, though usually it doesn’t occur for those taking Letrozole for infertility. I’m lucky like that I guess. This entry was posted in Infertility, miscarriage, Nurse, Pregnancy loss and tagged infertility, infertility treatment, miscarriage, pregnancy loss. Bookmark the permalink. You got this. Hang in there. Just because you are trying again doesn’t mean you are betraying Oliver at all. If anything, you are letting him know that he made you want to be a mom. And for that you are willing to do what it takes. Be strong and happy. I know it is hard but we have been trying for almost a whole year with no success and women are always telling me that I need to stay happy. Babies and miracles need a happy conducive environment which is what I am working towards. Good luck to you.